ROSEVILLE, Calif. /California Newswire/ — The High Technology Crime Investigation Association (HTCIA) will unveil its 29th Annual International Conference and Training Expo on August 30, 2015, at the Rosen Shingle Creek Resort in beautiful Orlando, Florida. This International Conference brings together groups including law enforcement, private industry, government and academia from the United States and from around the world. Peter Morin, HTCIA 1st Vice President and Conference Chair, is proud to present track based training to ensure an equal presentation of topics. "Some of our past training topics have included lectures and hands-on labs with numerous sessions related to penetration testing, malware analysis, memory analysis and computer forensics," said Morin. Keynote speakers scheduled to present include Brandon Webb and Howard Schmidt. Webb is a former US Navy SEAL and Head Sniper Instructor who trained Chris Kyle, the main character of the record breaking film "American Sniper." He is also a writer and digital media entrepreneur. Schmidt is the former Cyber Advisor to Presidents Obama and G. W. Bush as well as the former CISO and CSO at Microsoft. HTCIA has a special offer for those interested in attending the International Conference & Training Expo. Registrants applying to the conference pay $395 (members) and $595 for non-members until April 1. For more information on registration for the event and non-member or student options please visit the HTCIA Conference Registration page: http://www.htciaconference.org/ . For additional information about this Conference, please visit the event site or contact Peter Morin at info@htciaconference.org. For information concerning sponsorships or media coverage opportunities please contact Carol Hutchings at carol@htcia.org or by phone at (916) 408-1751. HTCIA is a 501(c)3 non-profit professional organization founded over 29 years ago for the purpose of educating individuals involved with high technology investigations. 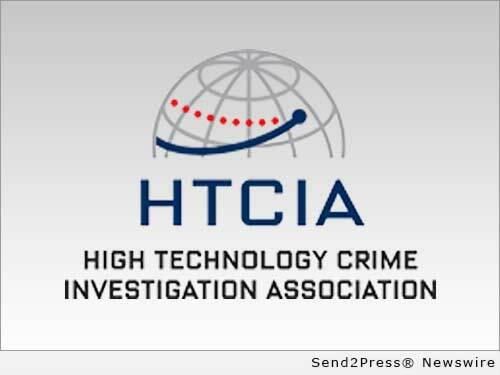 HTCIA continues to solidify its position as the leader in professional organizations devoted to the prevention, investigation and prosecution of crimes involving advanced technologies.